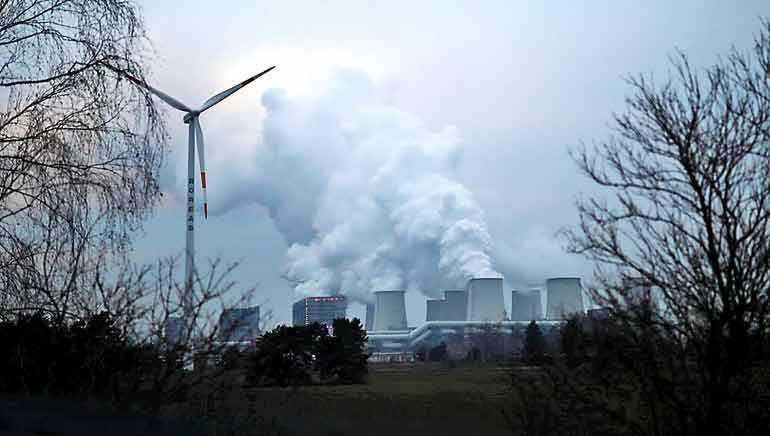 BERLIN (Reuters): Germany should shut down all of its coal-fired power plants by 2038 at the latest, a government-appointed commission said on Saturday, proposing at least 40 billion euros ($45.7 billion) in aid to regions affected by the phase-out. The roadmap proposals, a hard-won compromise reached early on Saturday after more than 20 hours of talks, must now be implemented by the German government and 16 regional states. They embody Germany’s strategy to shift to renewables, which made up more than 40% of the energy mix last year – beating coal for the first time – and follow a 2011 decision to halt nuclear power. Chancellor Angela Merkel’s cabinet welcomed the plan hammered out by the commission that included 28 voting members from industry, academia, environmental groups and unions, plus three non-voting members from the ruling parties. “Less CO2, more new jobs, a secure power supply and affordability: a strong signal,” Economy Minister Peter Altmaier said on Twitter. The panel, which began its work in June, said at least 40 billion euros in aid should be provided for coal-mining states affected by the exit, less than the roughly 60 billion euros they had sought. “This is a historic accomplishment,” Ronald Pofalla, one of four commission leaders, told reporters in Berlin. He said the deal would allow Germany to meet its climate change targets for 2030, which call for significant cuts in carbon emissions. Another chair of the commission, environmental professor Barbara Praetorius said the plan would also guarantee “affordable and secure energy supplies.” Armin Laschet, the premier of North Rhine-Westphalia, Germany’s biggest coal-producing region and most populous state, said it would pave the way for an economically viable “future without coal” for regions now heavily dependent on it. He said it was up to the German government and the states to translate the recommendations into policy and law. Environmental groups vowed to hold the government to account on the targets, saying they would push for an even earlier exit. Business leaders, who had warned that a too-hasty exit from coal could inflate power prices, generally welcomed the plan, though RWE, Germany’s top electricity producer, said 2038 was too soon to shut all coal-fired plants. “It’s a compromise that hurts everyone. That’s always a good sign,” added Andreas Scheidt, a member of both the commission and the executive board of the ver.di trade union. In a first step, plant operators including RWE, Uniper , EnBW and Vattenfall will be asked to shut down about 12.7 gigawatts (GW) of capacity by 2022, equivalent to about 24 large power station units, said the report, seen by Reuters. Under the proposed plans, coal power capacity in Germany would more than halve to 17 GW by 2030. It said compensation and other shutdown details should be agreed with the operators on a contractual basis. In a blow to RWE, the commission said preserving the contested Hambach forest was “desirable”, hitting the group’s key source of lignite where mining operations have already been halted following a court order. If implemented, the proposals would be the second major intervention in Germany’s energy market within a decade. The German government decided in the wake of Japan’s Fukishima disaster in 2011 to stop producing nuclear power by 2022. While the 2038 date to exit coal was in line with expectations, the report said the phase out could be completed by 2035 – a decision that would be taken in 2032. Compensation for companies and household consumers facing higher power bills due to the phase-out should be two billion euros per year, with the exact amount to be set in 2023, the report said. Stanislaw Tillich, former premier of the coal-producing Saxony region in eastern Germany, said the accord would be exemplary in Europe, by showing that new industries and jobs could be developed even as coal was phased out.